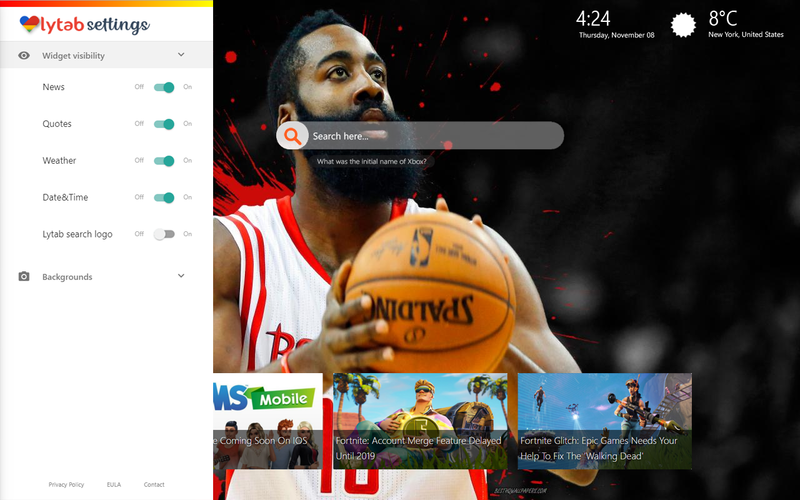 Best James Harden Wallpapers in your Chrome Browser! 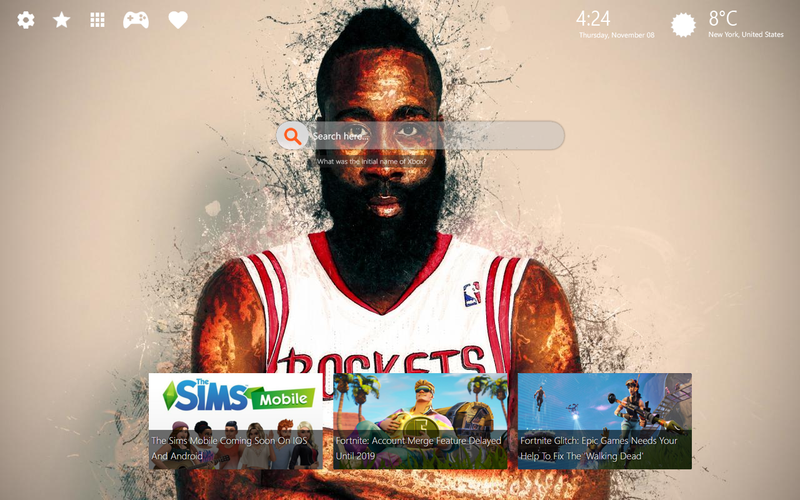 1 Best James Harden Wallpapers in your Chrome Browser! 1.1 Amazing James Harden Wallpapers for fresh and unique browsing experience! 1.3 Specialized Search Extension – Find Queries Faster! Amazing James Harden Wallpapers for fresh and unique browsing experience! We present you our new James Harden extension which offers various HD wallpapers and many other features that will improve your browsing experience. 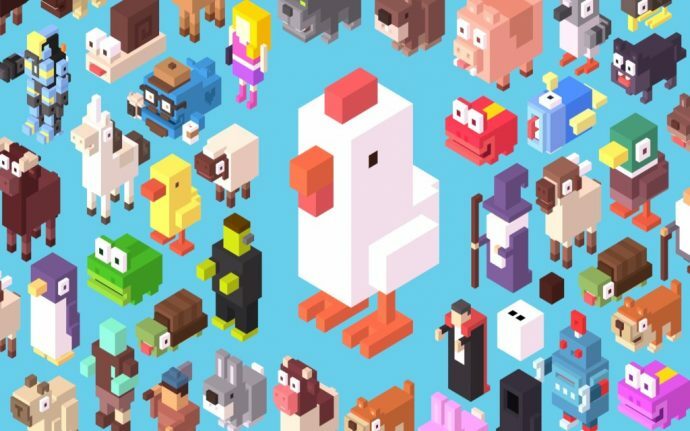 Enjoy these amazing wallpapers each time you open a new tab page. 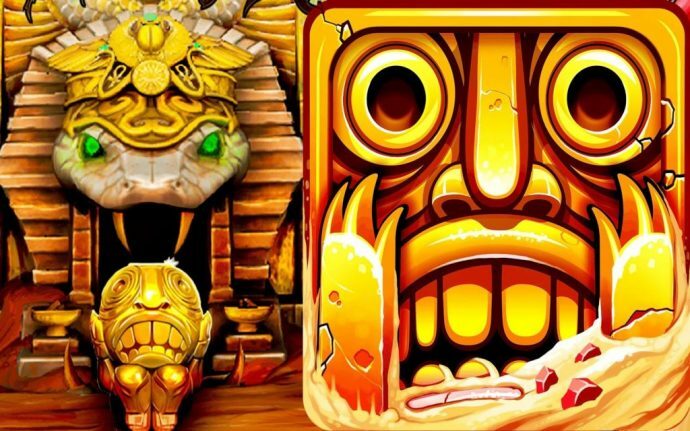 Moreover, feel free to share it with your friends! 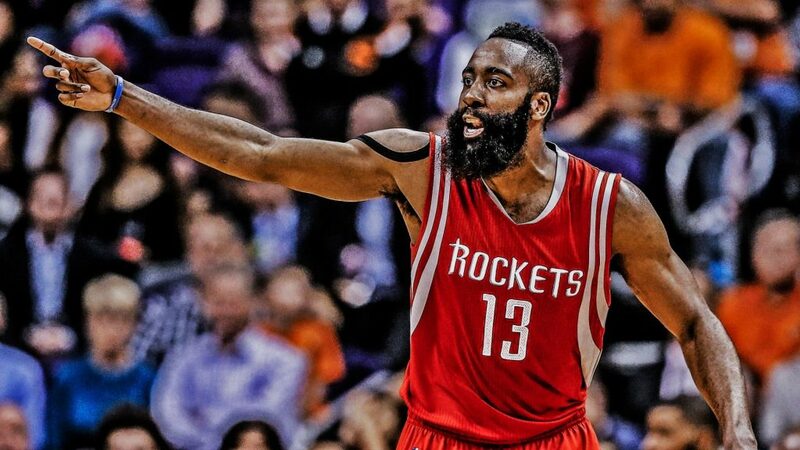 James Harden stands for one of the best basketball players as a part of the Houston Rockets. He is known for his prominent beard, so many people recognize him by his famous nickname ‘The Beard’. Furthermore, he has some significant record-breaking performances which indicates how popular and good his stellar play actually is. Harden started playing for Oklahoma City Thunder in 2009 which represents the start of his career. In 2012, he was traded to Houston Rockets. As a part of this team, Harden became one of the NBA’s best players. Moreover, he stands for the best shooting guard and one of the best players in the NBA. 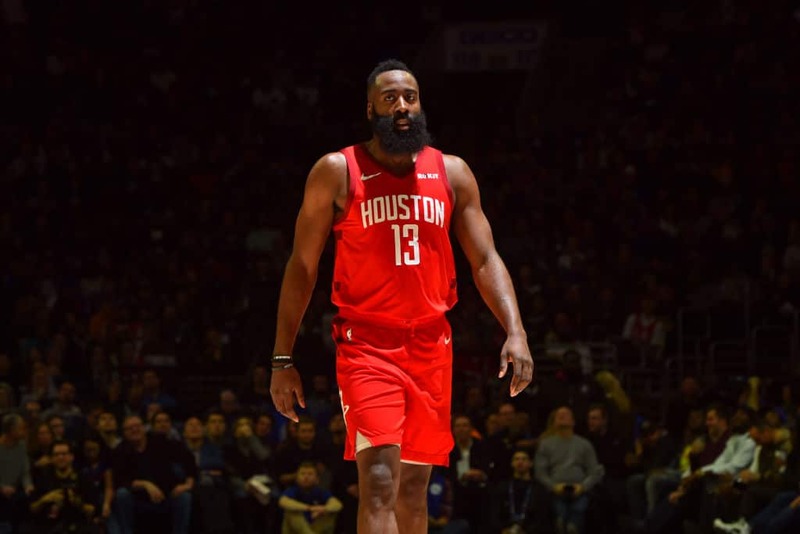 Transfer to Houston Rockets represents the most significant part of his career since it led him to many amazing performances and acknowledgements for which he is recognizable today. 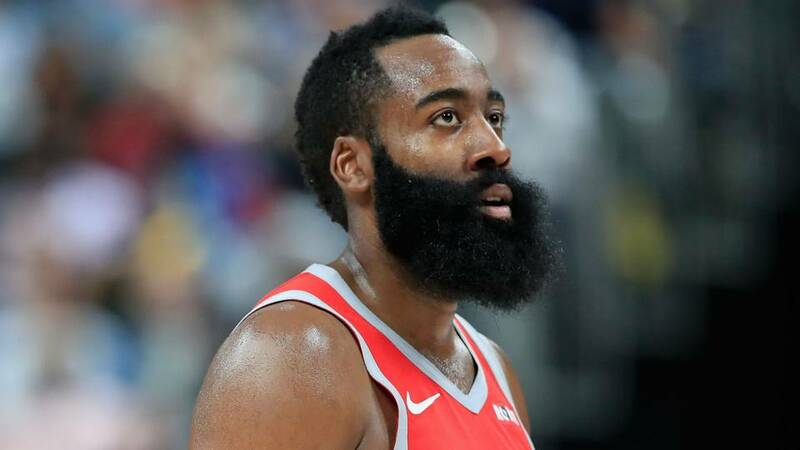 Upon many rewards, Harden was named the NBA Most Valuable Player in 2018. Also, he represents a six-time NBA All-Star player. As a member of USA national basketball team, he managed to win gold medals in 2012 Summer Olympics and 2014 FIBA World Cup. Furthermore, he led his team to win many times which explains the importance and greatness of his performance. His contract with Houston Rockets is the richest one in the history, worth $170 million. Therefore, he represents one of the richest sport players with his net worth up to $120 million. James Harden is the first NBA player in the history to score 60 points while recording a triple-double. Calvin Murphy, another Houston Rockets player held the previous record of 57 points which was achieved in 1978. Moreover, the record included at least 10 points, rebounds and assists. He finished 2016-17 season as the first player with at least 2000 points, 900 assists, and 600 rebounds, all in one season. Moreover, he acquired 474 turnovers. Harden represents the second youngest player who got the 6th Man of the Year Award in 2012. At that time, James was only 22 years old when he got the honor. The youngest player who owns it is Ben Gordon at the age of 21. Manu Ginobili is one of the greatest influences when it comes to the Harden’s game. While he is playing, we can notice many similarities such as movements, deadly shooting range and the usage of the left hand. Therefore, the influence is clearly noticeable and it seems like the student is becoming the master. Do you think so? As already mentioned, James Harden is famous for his beard. Sometimes it is more noticeable than his game. However, it does not represent his own decision. He just did not want to shave. Therefore, it results in his famous nickname ‘The Beard’ which is untouched. Now back to why you are really here. This great extension is free and suitable for all ages. 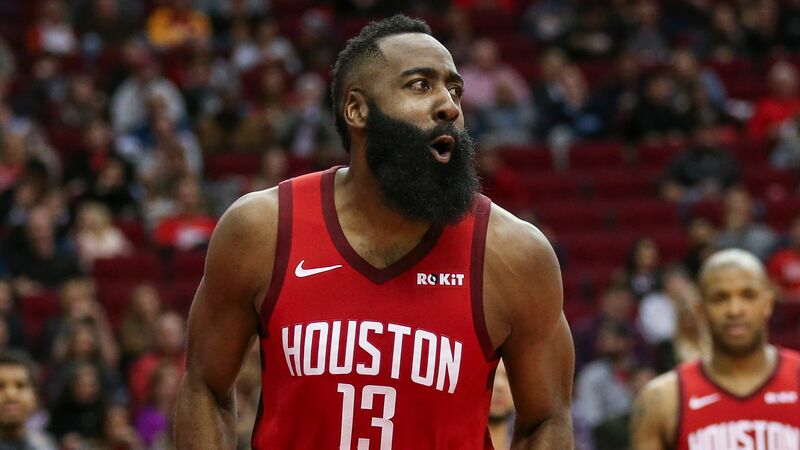 We have added cool features to this James Harden wallpaper extension, which will make your browsing experience more fun and adjusted and suitable for all your needs! |Start customizing your browser according to your needs and enjoy the free widgets with all your favorite wallpapers and backgrounds. Many choices are upon you, so you will be able to pick your favorite wallpaper as a default one or you can leave all as it is by resetting the picks. 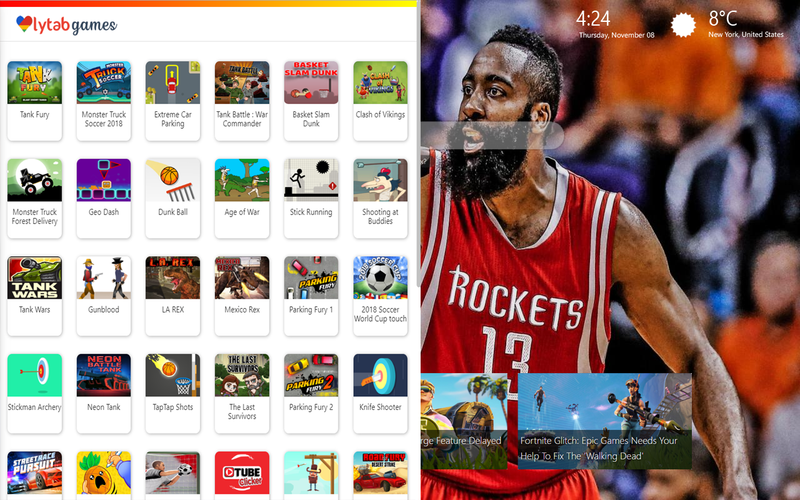 This extension provides more than 200 Wallpapers because we change them all the time.Show/hide elements while playing with your browser and play some games while you are at it. James Harden Wallpapers 2019 extension shows you the exact time and location wherever you are. Dallas HD Wallpaper Chrome Themes – Bonnie and Clyde’s hometown!